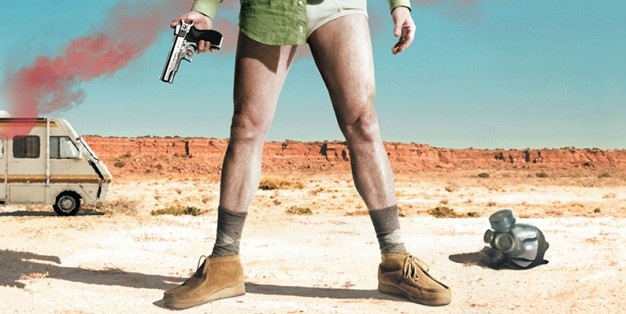 Ever since I finished Breaking Bad I’ve missed it terribly, and the thing I’ve missed the most (other than Aaron Paul’s face) is Walt’s incredible selection of Wallabees. 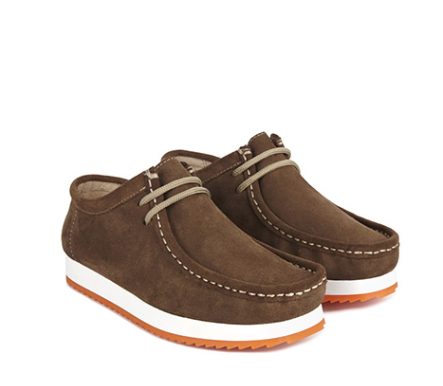 Wallabees are part of the Clarks Originals range and were first introduced in 1967. They are a moccasin style (that’s the Cornish pasty-style stitching at the front) with two lace holes on either side, a little like a desert boot, and a crepe sole. 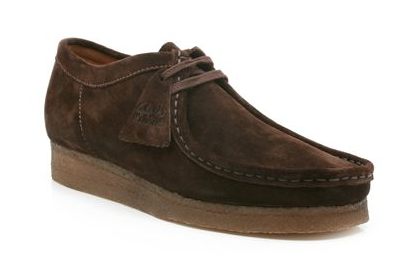 Sadly, Clarks aren’t doing a women’s Wallabee without a wedge at the moment (boo!) but if – unlike me – you’re a size 5 or above, you can just buy a pair from the men’s range. I remember being about 12 and Wallabees were all the rage at my school. More than anything I wanted a pair in purple, but living on the Isle of Wight meant there wasn’t much choice, and I’m not even sure they made them in purple, so I settled for a pair of purple Converse instead (which actually I loved just as much). 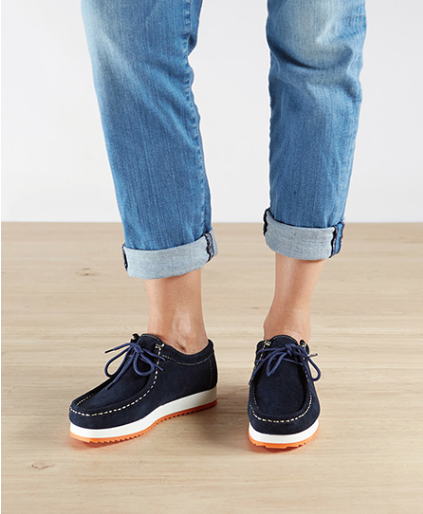 Although they’re an absolute design classic, I don’t remember Wallabees being in vogue with women since then, but they’re definitely having a moment right now, as other brands are also bringing out their own versions. 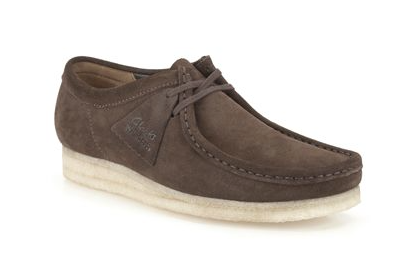 I am REALLY excited that Penelope Chilvers is doing Wallabees this season (though she is spelling them with a ‘Y’). Aren’t they lovely? As usual, Penelope has put a lovely flash of colour on them – that orange sole is just GORGEOUS. I’m sad she hasn’t put into production the jumbo cord samples I saw a few months ago, but these ones are just as cool. 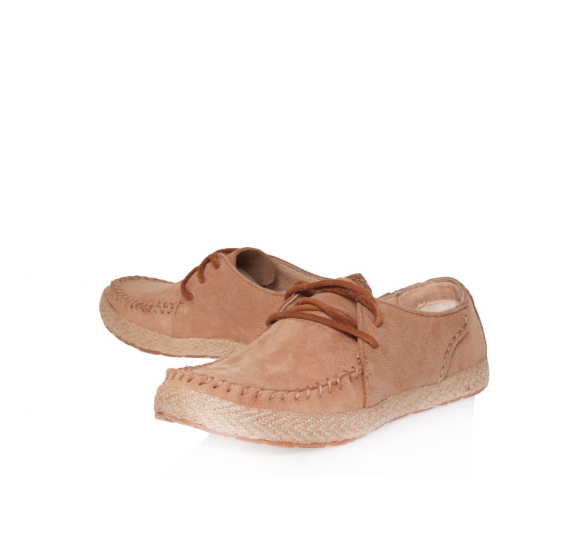 Kurt Geiger has these Azin shoes from UGG that are a little more like a traditional moccasin, and if you can cope with a chunky heel you should head to Vagabond – although its Kayla shoe is too high for me to put a picture of on here. As for the styling? I’d go for turned up blue jeans rather than a pair of white Y-fronts…. !